Is it time to move? You definitely need the best packing and moving tips! Whether close or far away the right tips will make the process go smoothly. We are here to help you with that and share some valuable tips we collected along the way. MCR Self-Storage is in the business for more than 12 years now and we know all about packing and storing. The most important piece of advice is to start planning your move as far ahead as possible. As soon as you know you will be moving, start putting together a plan. Don’t forget you can arrange storage between houses for all the items of your home in an easy and cost effective – MCR Self-Storage – way. If you are packing your items yourself, start as soon as possible. You don’t want to be packing everything up the night before the move. It is advisable to employ professionals to pack any extremely fragile items such as fine art or antiques. • Start with items you use rarely such as Christmas decorations or artwork and pack them well in advance. • Identify all the items that you don’t need anymore and arrange drop offs to local charities. You could also sell them locally or on platforms such as eBay. • Don’t forget to advise everyone for your forwarding address to avoid confusion in the future. 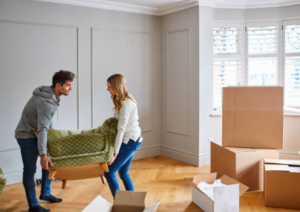 Organising the way your things are packed in boxes will not only save you time for when unboxing the items at the new house, but it will also save you the amount of stress and frustration you would experience. • Label all your boxes for the top side, note what items are inside and put your name and destination on the boxes in bold letters. • Use clear labels for fragile items and ensure that fragile boxes are stacked on top of other boxes safely. • Pack a box with items you will need immediately. Label this box ‘OPEN FIRST’ and make sure it includes things such as toiletries, tools, battery chargers etc. • Don’t pack any open liquids to go into the moving truck. They may leak and cause damage to other boxes during shipment or storage. • Use smaller boxes for heavy items such as books to make the boxes easier to carry. This will also prevent boxes from breaking due to strain. • Label boxes for each specific room in your house and place them accordingly when the time comes. • You might even consider numbering the boxes to keep track when moving to your new home. • If possible, it is advisable to take pieces of furniture apart for a more optimized use of the container space. • Hire a professional to disconnect the main electrical appliances (oven, dishwasher etc.) before you move. • Don’t forget to label all cords and cables for each electronic such as TV, computers, laptops. A good idea is to take pictures before you plug them out so that you can have a reference when its time to plug them back in. • Defrost your freezer and refrigerator before the big day and make sure they are empty. • Get rid of any flammable items such as fuels, matches, aerosols and propane tanks beforehand. • Ensure all dressing drawers are empty, and place everything important along with fragile items. • Make sure the most valuable items, such as jewellery, currency and documents stay with you. Movers will not take responsibility for items of such value. • Do a final walkthrough of your home to ensure you have packed everything. Check the cupboards, closets, even behind doors in all rooms. Time to go! Have a safe journey!